I have to ask MedicineMan... When talking black bears I've never done anything but run towards them getting as good a shot and as close a shot as possible. Maybe you should find a slow friend to take with you on your excursions. Just don't get to attached. Jeff...this is a mighty good shot for sure. I'm just glad I wasn't there with you. Interesting... that kinda explains everything. It is a good picture, but please be careful not to get too close anymore. I pet bears for fun Charles. Not once did I even feel uncomfortable Charles. She was a good bear as most of the wildlife here in Canada. She was overly polite and always a lady. 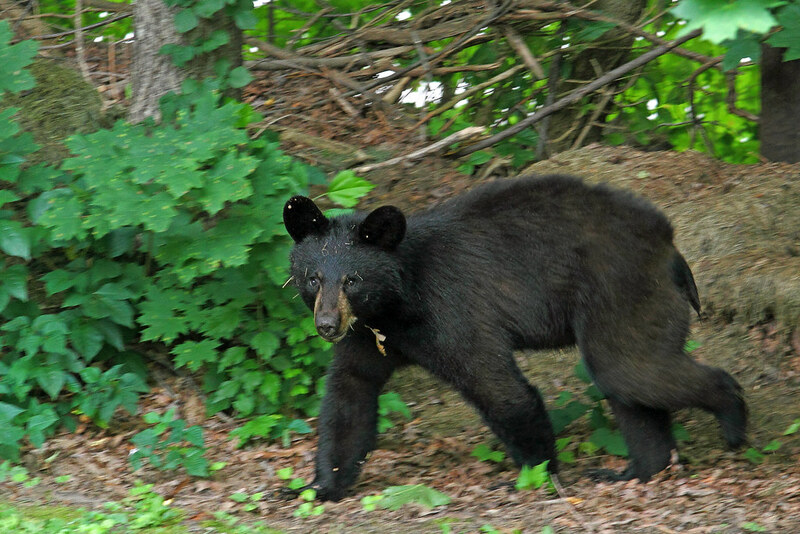 NJ had an overpopulation of bears before they opened a hunting season. As a Hunter, and mountain biker, I had daily encounters. 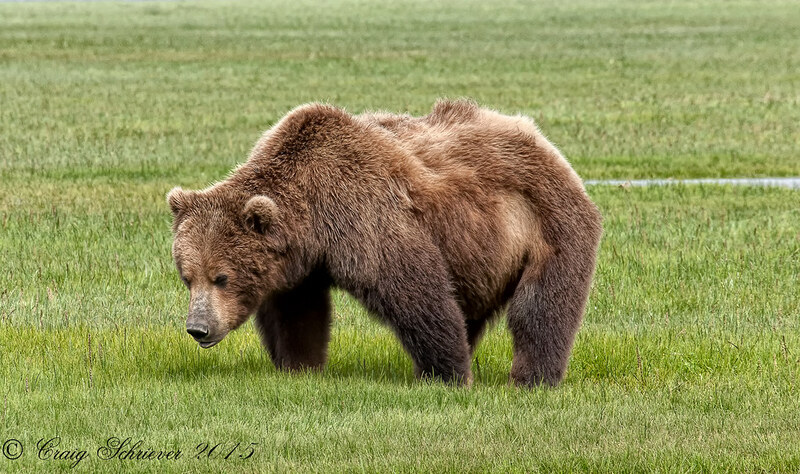 The bear never ran from me, often tracked me down, or approached. Myself and others were charged and/or followed out of the woods. They were entering open garages for garbage, and breaking into homes through windows. 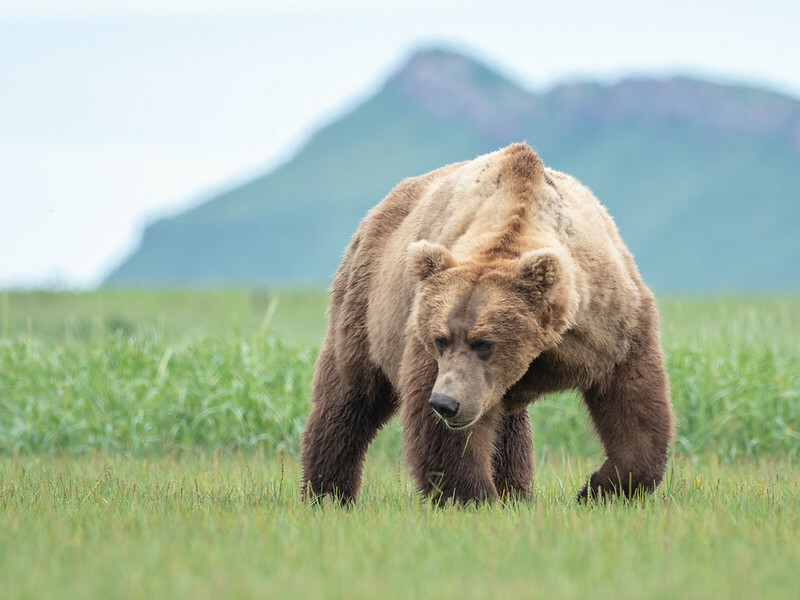 It is better now in the woods, now that they have been hunted for around 10 years, but there is still a large population here where they can't be hunted, and encounters around homes still frequently occur. A group of kids recently ran from a bear here, and one boy was killed. We now have a liberal governor who will side with the activists, and probably stop the bear hunt again. It didn't take long to overpopulate from when we had only a few bear in the 70's. 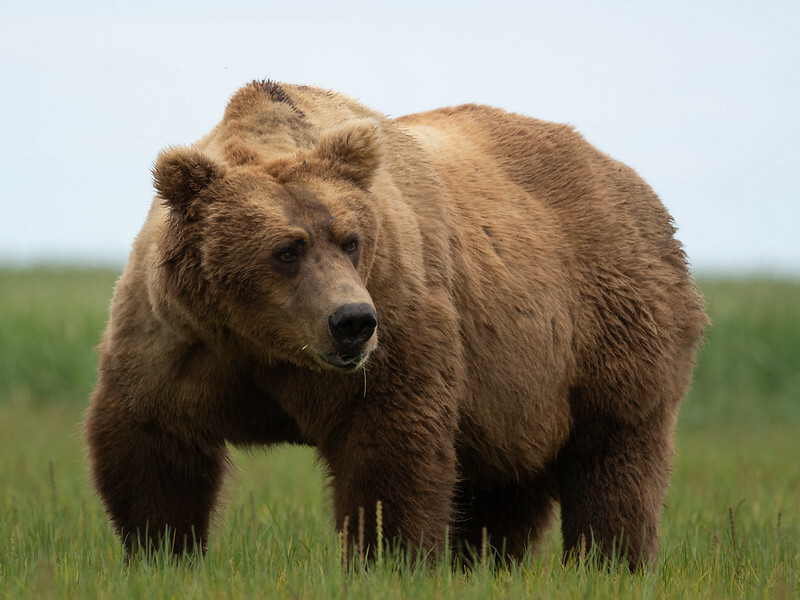 Encounters will be back to the way it was before the bear hunt, in no time, if they stop the hunt now. I can't keep a bird feeder in my yard without having to replace it every other week. Great shot of that big ol' bruiser! WOW, big bear. Nice shot. 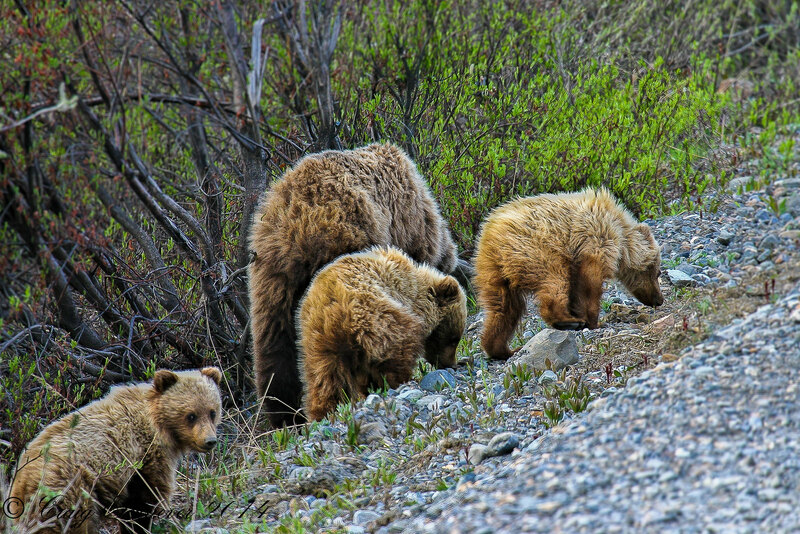 Strolling down the road in Denali. The issue got a lot of play nationally but functionally it doesn't change much if anything. it was about making federal regulations match state language. The nasty things described are not employed by the general hunting population. As someone who derives the vast majority of his income from wildlife viewing on public lands in Alaska i'm not too worried about it. what causes 20+bears to be visible at one time? are they baited? 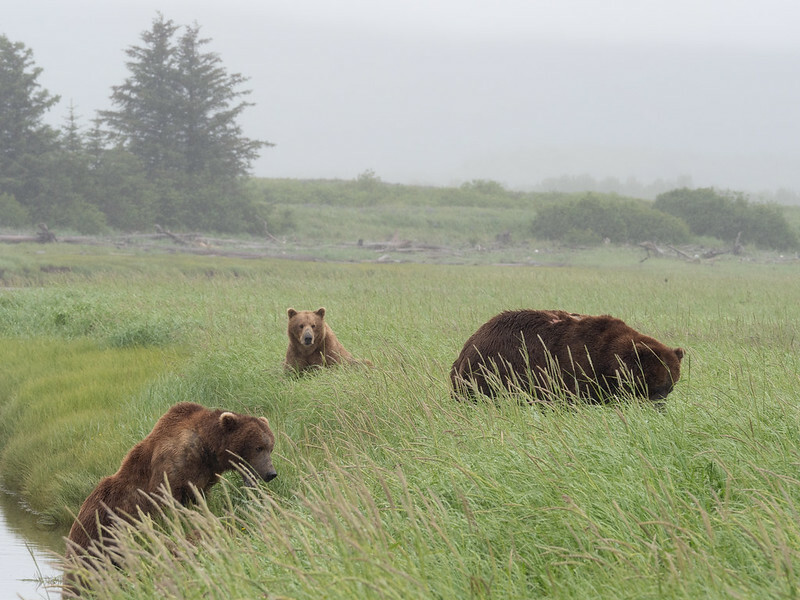 Some pics from the first couple trips out to the Katmai Coast this summer.